Peppergrass, or Poor Man’s Pepper, is an annual plant that grows from a single taproot. It is in the Brassicaceae (mustard) family and it earned its name for the pepper-like flavour. Interestingly, Pliny the Elder (23 AD – August 25, 79 AD), who was a Roman author, naturalist, and natural philosopher, wrote about pepperweed plant in Naturalis Historia. About one thousand years before that the Incas were cultivating this plant. Distinguishing Features: Peppergrass’ most identifiable characteristic is its raceme which comes from the plant's highly branched stem. It gives the top part of this plant a similar appearance of a bottle brush. Flowers grow at the top of the racemes. 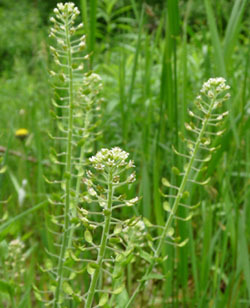 The flat, circular seed pods appear below the flowers. It generally appears from May to November in the northern hemisphere. 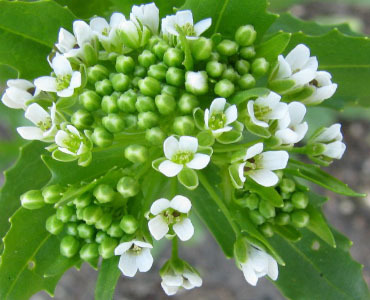 Flowers: This wild edible has tiny white flowers with 4 petals, (minute or sometimes absent), 1-3mmlong in a cross form and it has two or four stamens. It has four sepals, cupped, greenish-white, with scarious margins about 1mm long. The flowers are arranged in elongated clusters. Fields of Nutrition has medicinal benefits and vitamin/mineral content of Peppergrass. Leaves: The alternate, toothed leaves are lance-shaped. The leaves are somewhat hairy. The stem leaves are lance-shaped. 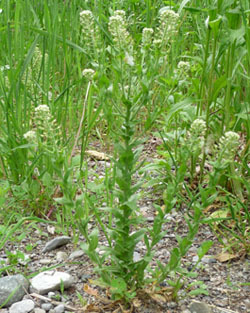 At the base of the plant the leaves are basal and they grow 2 to 15 cm long with large terminal lobe and several small lateral lobes. Height: Poor Man's Pepper grows between 15 and 60 cm tall. 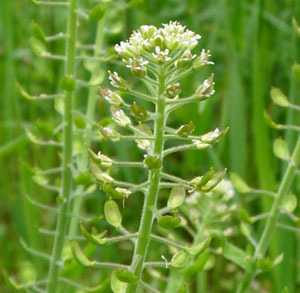 Habitat: This wild edible can be found along roadsides, fields, waste areas, disturbed sites, prairies and pastures. It grows all over Canada, the U.S., Mexico, Central America, Europe, parts of Asia, South America and Australia. It prefers dry, sunny locations. 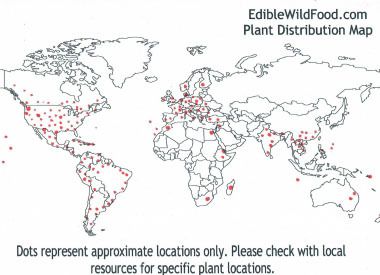 Edible parts: The entire plant is edible. 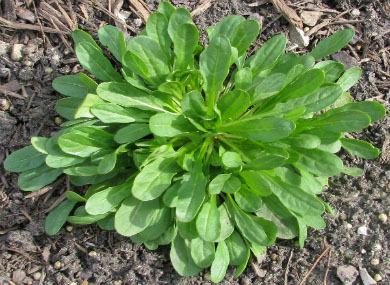 Young leaves can be used as a potherb, sautéed or used fresh in salads. The young seedpods can be used as a substitute black pepper. The leaves contain protein, iron, vitamin A and vitamin C. The flowers can be tossed into a salad and the roots. This entire plant can be put into a food processor along with turmeric, vinegar, miso, garlic and salt to make wild mustard. Collect roots, wash them, crush them and add vinegar and salt you have a horseradish substitute.